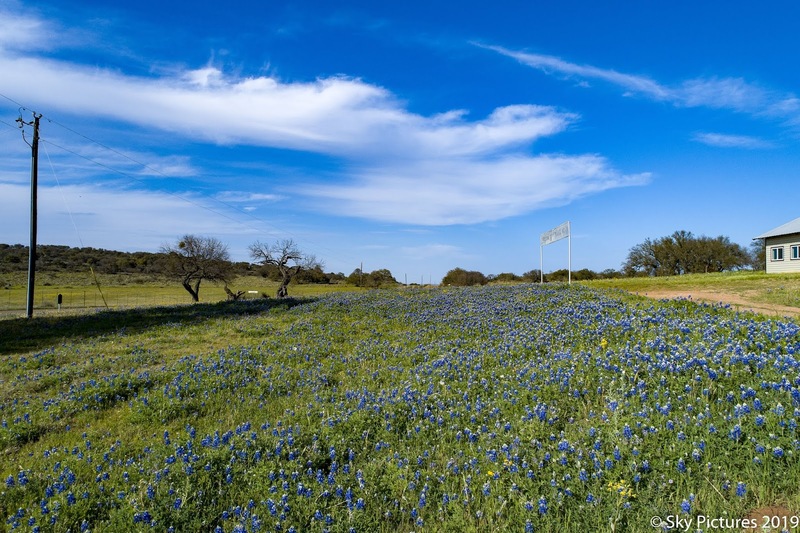 Lakeway Update: Council Meeting Results, Wildflowers and More! Council Meeting Results, Wildflowers and More! Did I imagine the forecast of rain? Forecast or not, no rain. 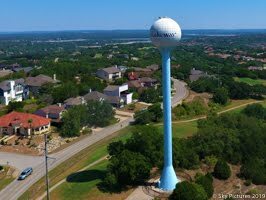 It is Spring though and the warmer weather has brought out the best in Lakeway, Oak leaves and blooms are starting so get the allergy meds ready. I'm going to forecast no rain and the sprinkler system is on. City Council met Monday evening - here is that agenda, and here is the meeting packet. The meeting lasted until 12:30 a.m.
City's finances are in good shape, tax collections are on schedule and expenses are good with some savings due to vacancies in positions. Code enforcement v.s. code compliance - it appears that the city is changing from a "Courtesy Notice" to a "Courtesy Reminder" so no one is offended. They are also dismissing warrants already issued to start fresh with the citizens because the city wants to start fresh. Sounds like our rules were just too strict. The Police fencing will be modified with a bar on top to protect the deer and all the children climbing over it since that is now the rule. The Police project is on time and under budget, they will use some of that savings to fix the fence. They reached the point of "substantial completion" on March 1st and are now getting everything ready for a move in on about April 10th. Council approved an agreement with CTWC (Central Texas Water Coalition) to continue with the annual contract to represent the city's interest in Lake Travis and the LCRA. Epi Gonzales (TxDOT) gave an update on changes at Flintrock and 620. There have been some delays because of contractor issues ant they are hoping to get that rectified soon. That project is changing striping and lights to allow 2 lane turns both left an right onto 620. They are also looking at medians through Lakeway on 620 and they are trying to come up with acceptable median cuts for businesses throughout the city. Council is finding out this is not simple and takes time to make changes. The Audit Report was clean with no issues. Parks and Rec. Committee Chair presented the results of the survey done recently. I linked a copy of that presentation on a previous blog. The Comprehensive Plan Steering Committee made presented a report on their progress. They have open houses scheduled along with other events to get citizen input. Folks need to realize that nearly the entirety of Lakeway is already built out, has plans or is currently zoned. One exception is the MUD property. A Comprehensive Plan is a broad brush that suggests the expectation of the future of the city, it is not a micro development tool. Item 11 - Boat and RV parking. Council spent an enormous amount of time on an issue that only affects a very small, but vocal part of the population. They decided to allow 2 days out of 7 for loading and unloading and cleanup of RV's and boats. Item 12, Final Plat approved for property on Clara Van and 620. Item 13, Preliminary Plan Revision - approved with restriction that all promised park and pond improvements be done. Item 14, Plan revision approved. Item 16 - Capital Improvement Plan - Discussed dates and plan and schedule was presented. Item 17 - This item changed two titles, one was Comptroller and now will be Finance Director, the other was to change Communication Coordinator to Communications Director. For those that haven't heard, Devon Monk and Darren Henson resigned. Item 18 created the Charter Review Committee. Appointments to be made in May. Item 19 was 86th Legislative Priorities - one issue is SB 2 that caps the increase in city tax rates to 2.5% - this bill has not come to the floor yet and there is a question as to whether there are enough votes. The other issue is a bill that would restrict the city from regulation of exterior building materials. Several other items were discussed but no action was taken. They had two Executive Sessions, started at 10:00 and went to 12:24 a.m. The first session I suspect they discussed possible legal action against the previous City Attorney, they also did a mid year review of Steve Jones, City Manager and I'm not sure what else. The second Executive Session discussed the ongoing lawsuit with candidate for Mayor Tom Kilgore and what to do about it. I heard he was willing to drop the award if the city did not appeal the ruling but I also am told there were other strings attached. I guess we will find out when they tell us. A couple of take aways from the meeting. Council Member Higginbotham attended via video conference. I feel the members should attend in person - in this particular case it appears there would have been a quorum issue since Council Member Trecker was also out of town. Members are allowed 2 misses per 6 months but since they voted Council Member Bertram off they are short on members. It also seems a lot of time is spent on changing rules for a small percentage of the population. Council needs to remember that the population is about 15,000 now and changing ordinances because 20 or 30 folks are vocal doesn't necessarily represent the entire community - generally people are happy if they aren't complaining. My opinion is they certainly shouldn't use a small survey taken from "Nextdoor" that certainly isn't representative of the community. Social media is not representative of the general population. 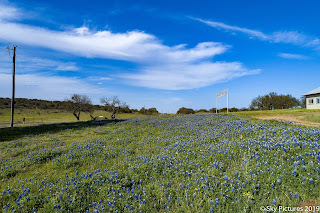 The Hill Country is in bloom! 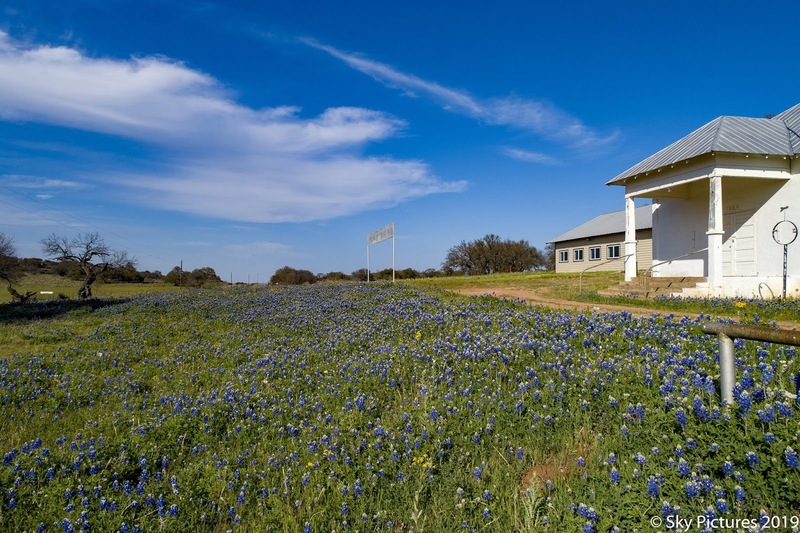 Get out and enjoy the Indian Paints and Bluebonnets. These were outside of Llano last weekend - they said we were about 2 week early. More at Sky Pictures. 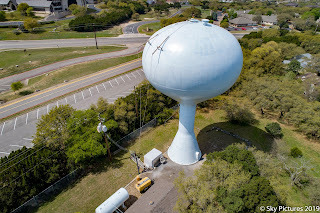 The Lakeway MUD is repainting the water tower next to Lakeway Elementary. The Live Oak Golf course will be closing soon for renovations. The work will start next month and the course will be completely closed from May till September. New grass on the fairways, new greens and repair of the cart paths. It should really look good once it is finished. If you need a Vet for a pet, don't forget to check out Lakeway Vet on 620 - great folks and they really care about your animals! If you need aerial photos of your home, property or business, please consider Sky Pictures - we aim to please and I'd appreciate the business! If you want a domain hosted, a personal email or a web page for your business, please consider JB Hosting - personal help and great prices. And if you just want the current weather in Lakeway - here's a link to the 15th Tee Box Station.